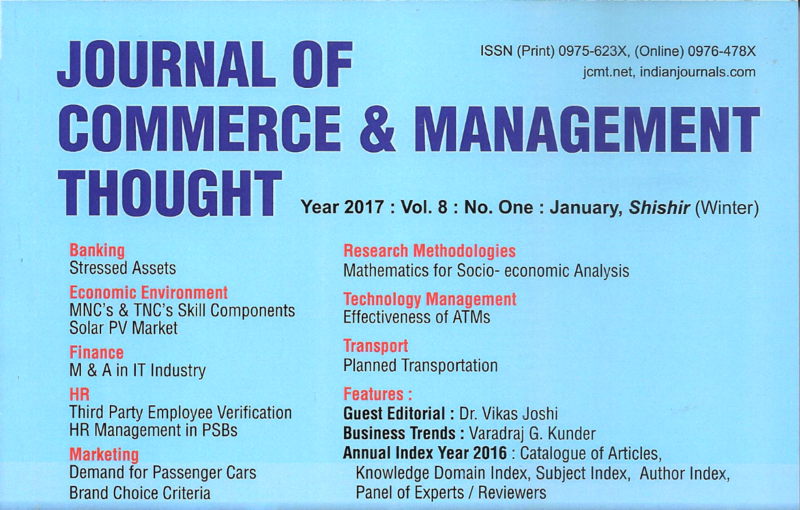 The Journal of Commerce and Management Thought (JCMT) featured a guest editorial by Dr. Vikas Joshi in its January 2017 issue. The article challenges popular myths about opportunities that entrepreneurs discover. The author’s argument is summarized in the title: In Entrepreneurship, an Opportunity is only as Good as What You Make of It. JCMT is a leading research journal dedicated to research in academia. It is a platform to showcase, share and act upon the research work and projects by the academicians and corporate practitioners.